If you were accused of a crime, who would you rather decide your sentence--a mathematically consistent algorithm incapable of empathy or a compassionate human judge prone to bias and error? What if you want to buy a driverless car and must choose between one programmed to save as many lives as possible and another that prioritizes the lives of its own passengers? And would you agree to share your family's full medical history if you were told that it would help researchers find a cure for cancer? These are just some of the dilemmas that we are beginning to face as we approach the age of the algorithm, when it feels as if the machines reign supreme. Already, these lines of code are telling us what to watch, where to go, whom to date, and even whom to send to jail. 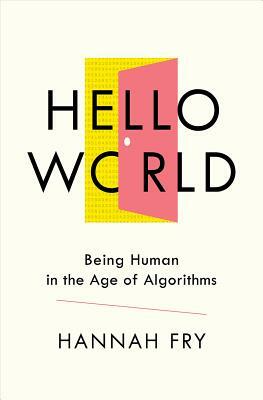 But as we rely on algorithms to automate big, important decisions--in crime, justice, healthcare, transportation, and money--they raise questions about what we want our world to look like. What matters most: Helping doctors with diagnosis or preserving privacy? Protecting victims of crime or preventing innocent people being falsely accused? Alice Rawsthorn is the design critic of the "International Herald Tribune," the global edition of "The New York Times." Her weekly Design column is syndicated worldwide. The former director of London s Design Museum, she is also the author of an acclaimed biography of Yves Saint Laurent."